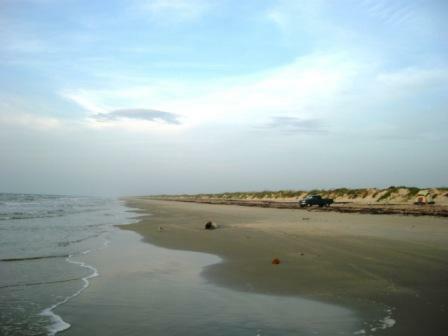 The header is a photo I shot last August at Malaquite (4 syllables, pronounce final e) Beach on the national seashore at the north end of Padre Island. I camp there every summer during a full moon. Often the closest neighbor is a mile away. Let’s talk about low stress beach camping. What’s your favorite beach? This entry was posted in Downloads, News. Bookmark the permalink.